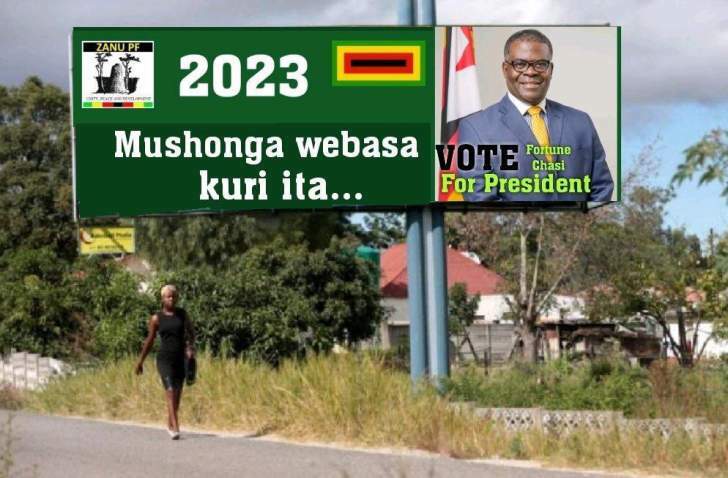 A desperate Deputy Transport Minister Fortune Chasi was left clutching at straws, Sunday after "his 2023 presidential campaign posters" went viral on social media. 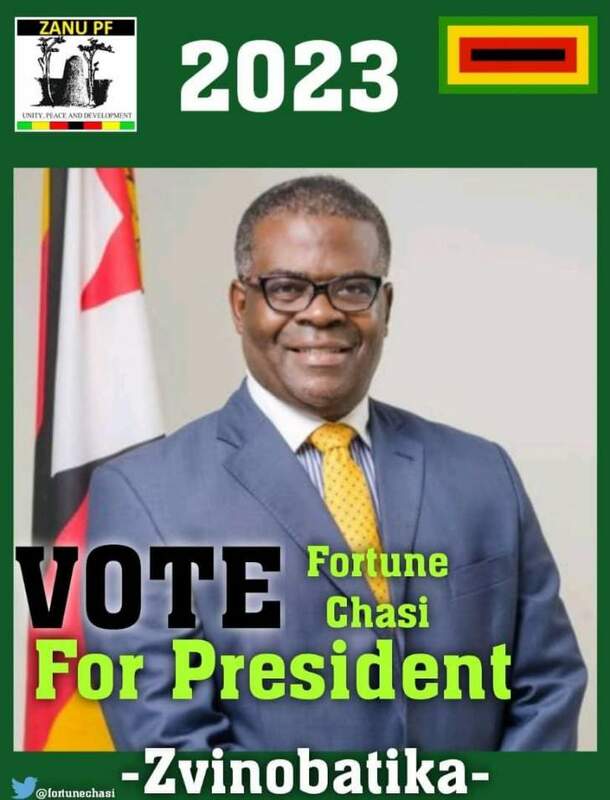 While it was not immediately clear as to the origins of the posters, Chasi was besides himself trying to explain he had nothing to do with the so called attempt to challenge President Emmerson Mnangagwa and become Zanu-PF's candidate in presidential elections set for 2023. Chasi in an interview with NewZimbabwe.com said he was sure Mnangagwa would not take this seriously. "I am sure the President is aware and does not take this seriously. I am someone who does not like positions and have never expressed anything connected to this. Nobody wakes up and declares they want to be president because their profile picture has attracted likes," said Chasi. He said he did not have an idea as to the origins of the "posters." "I am not sure of the motive around them and or who is behind this. They are expressing a desire which may or may not be sincere. I am however not scared," Chasi said. Mnangagwa who controversially won last year's presidential. Election by a slim margin and had to wait for a Constitutional Court approval to assume power following a petition by opposition leader Nelson Chamisa has already been endorsed by the ruling party as its candidate in the next plebiscite. A campaign theme "#edpfee2023" has already been crafted amid reports Vice President Constantino Chiwenga the power behind Mnangagwa's rise to power after engineering a coup in November 2017 as Commander Defense Forces is scheming to stop the President from seeking a second term..
Chasi in a series of tweets dismissed the posters describing the move as "mischievous". "Whilst I respect views of everyone on the issue, I feel that it is improper to propagate campaign material which has not been approved or initiated by myself. Therein lies the mischief. "I am very clear of my current mandate as well as my place in the packing order of our party and rules concerning ascendancy. I have no intention to deviate there from. Instead at this moment in time I have no choice but to remain focused on delivering on the mandate I was given by the President in the Ministry of Transport & Infrastructural Developmént," Chasi said. "I also believe that our focus as a country at the moment should be on our economy and not on political positions. Accordingly, I will remain committed to diligently execute my mandate." Attempting to challenge a sitting leader in Zanu-PF is akin to applying for the death penalty and Chasi is acutely aware of the possible consequences of associating with the "campaign."